This photograph shows an interior view of the soda fountain in the Loeb and Hallis Drug Store in Junction City, Kansas. A gentleman in a suit is visible standing behind the counter. 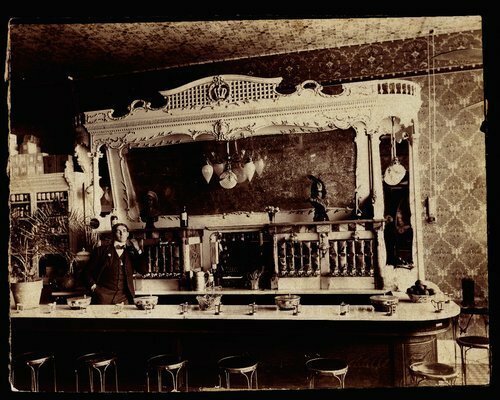 Behind the soda fountain equipment is a large mirror surrounded by very decorative woodwork. Holding Institution: Rachael McWilliams, 1968; George Smith Public Library, 1969.